Providing excellent customer service is an essential part of your business and can be detrimental if it’s overlooked. In fact, poor customer service costs U.S. businesses $83 each year and 71% of consumers have ended their relationship with a company due to poor customer service. So, how do you know if your customers are happy and you’re meeting their expectations? You ask! In this post, we’ll walk you through best practices and the types of questions to ask so you can get the most out of your customer service surveys. Depending on what you’re trying to measure, there are many types of surveys and questions you can ask to get a pulse on your customer service. 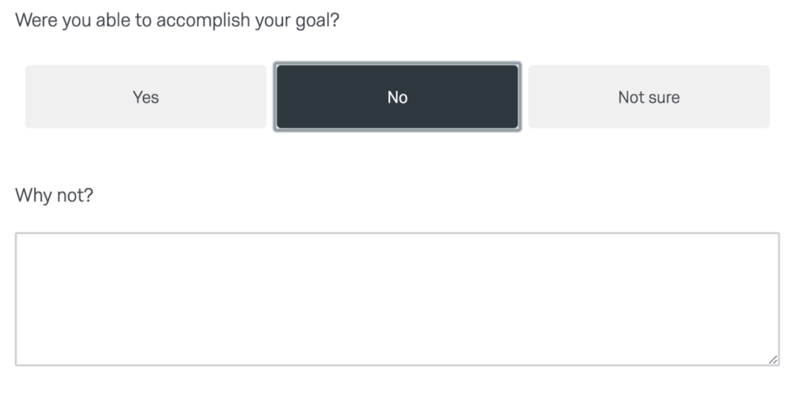 It’s important to define your goals before writing your survey questions so you know the exact data you’re trying to uncover. Often, the agent your customer interacts with determines if they have a positive or negative experience with your company. Asking agent-specific questions is important because it lets you and your employees know if they’re meeting customer expectations. Once you uncover specific positive or improvement points, you can train and reward your employees. How courteous or uncourteous would you say our service team member was? 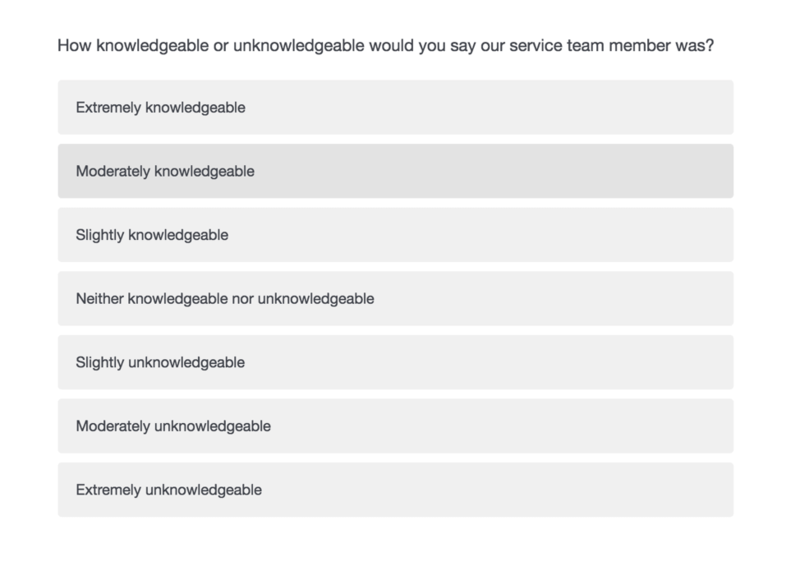 How knowledgeable or unknowledgeable would you say our service team member was? How effective or ineffective would you say the service team member’s communication was? How much did you feel our service member wanted to assist you? Including channel-specific questions on a customer service survey is beneficial because you’ll want to assess which customer support channel is the most effective, and which channels need to be retooled. First, start by asking if the customer’s interaction with the customer support agent was their first attempt. The goal is to have customers’ questions answered on the first attempt because having to receive help multiple times can create a bad experience. If they answer yes, ask them which approach they attempted, so you can look for patterns. For example, if many customers first attempted to use your knowledge base and couldn’t find the answer, you may need to update it with additional information. In addition, you could ask questions about specific support channels like live chat, call center, and mobile app to see which channels your customers prefer and which are most helpful. 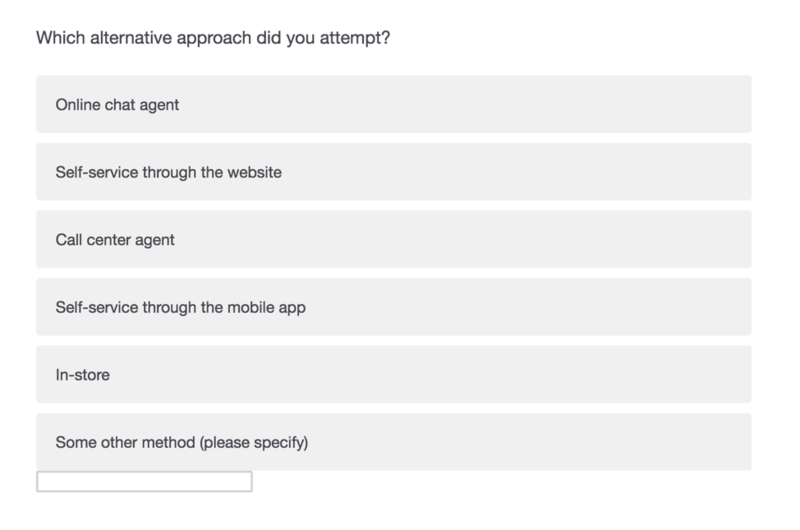 The goal of a CES survey is to understand how much effort the customer exerted to get his questions answered. The idea is that customers are more loyal to a product or service that is easier to use. CES surveys should be deployed immediately after interactions or specific touchpoints like a product purchase or an interaction with customer service. While this can be a single question survey, making it five questions will give you a lot more information. 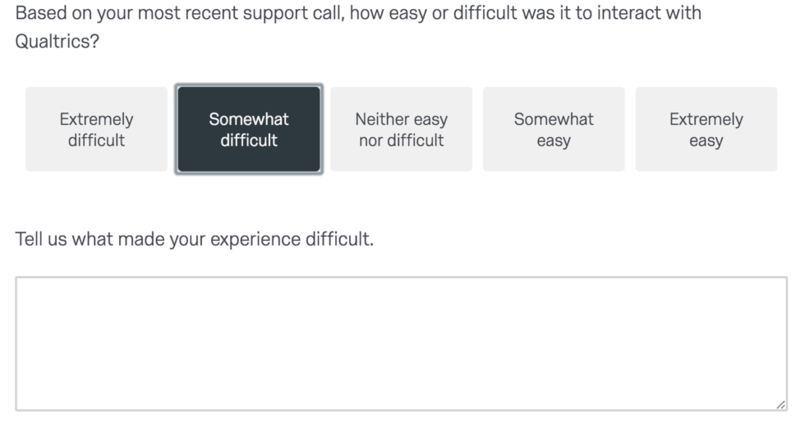 First, ask the initial question, “on a scale of ‘very easy’ to ‘very difficult’, how easy was it to interact with [company name].” If the customer says “difficult” or “somewhat difficult,” it’s always helpful to ask what made their experience difficult so you can improve. Next, asking if they accomplished their goal in contacting you lets you know if their issue is resolved. If it’s not, you may want to reach back out to close the feedback loop and ensure the situation is resolved. 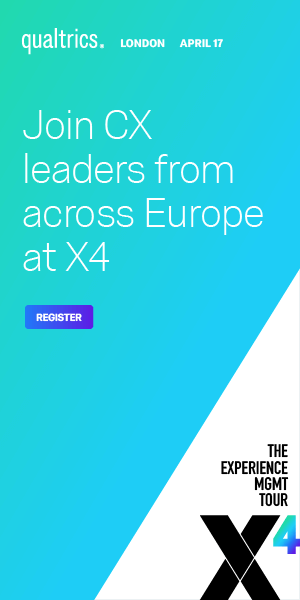 Finally, by offering the customer the chance to provide additional information you can gather invaluable insights that matrix survey questions can’t provide. Once you gather the responses, you can use Text IQ to analyse and understand what, in your customers and employees own words, matters most. CES is an industry benchmark. It’s important to ask these questions so you can understand where you stand among the competition. With this data, you can set goals, measure your performance over time, and see where you need to improve. By sending the same benchmarking survey to the same customers at regular intervals, you can understand how they view your company over time. Believe it or not, most of your customers don’t love taking surveys. They’re doing you a favor by giving you feedback, so you should respect their time. It’s best practice to avoid asking questions you already know the answer to like the agent’s name, that date the customer contacted you, what type of issue they had, what product they own, etc. A smart customer experience management platform will be able to automatically keep track of this information, so you can focus on asking questions about their customer experience. The average attention span is only 8 seconds and the world is now embracing short. Even Pepsi created 5-second ads that aired on TV and online. When it comes to surveys, research has found that shorter is better, as long as you’re getting the pertinent information. In fact, it’s better to send out 2 shorter surveys than one long survey because your customers are more likely to complete a shorter survey.